Dr. Shillito (“Dr. Dan”) is a graduate of Cornell University’s College of Veterinary Medicine. He refers to his choice to become a veterinarian as his “midlife crisis.” Prior to vet school, Dr. Dan worked as a Smithsonian Fellow at the National Zoo for which he obtained a PhD in Animal Behavior, later becoming the director of a zoo in Charleston, SC. After years of working in zoos and sanctuaries, Dr. Dan decided to go to vet school to more directly help animals. 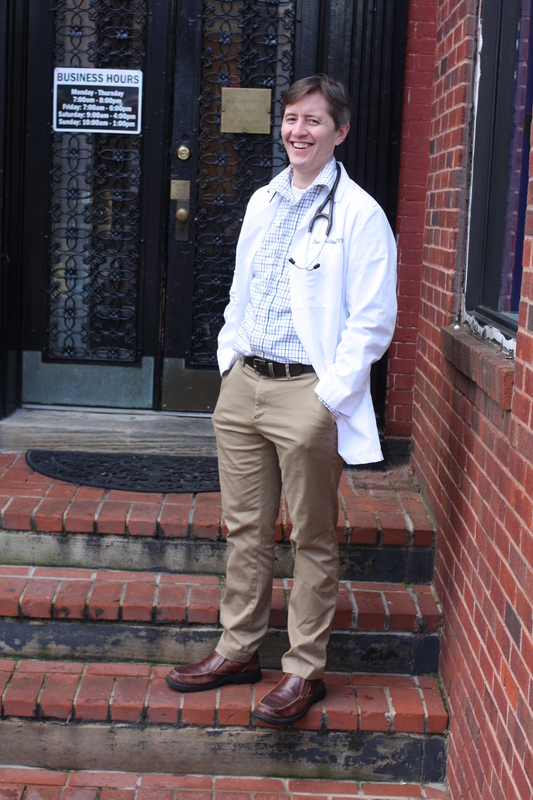 After graduating from Cornell, he spent years in private practice before becoming the staff veterinarian at the Washington Animal Rescue League, where he practiced shelter medicine for five years. His years of experience and many levels of expertise made him a prize addition to the Dupont Veterinary team in 2016. His main professional interests are surgery and chronic pain management. In his spare time he enjoys travelling and spending time with friends and family.